Massage Laws in the U.S.
Massage laws in the United States are some of the most oppressive in the world and it is important for people interested in massage to understand the politics that are behind them. Massage laws only started coming into effect in the last 20 or so years and have been pushed, in most cases by bodies that represent big, established massage schools that have a lot to gain from restricting competition and forcing students to undertake a lot of hours of training, even if it is largely irrelevant to the practice of massage. For example only a small selection of massage students will work in the actual medical profession but most of these schools force students to sit through between 300 and 700 hours of anatomy and physiology, rote learning Latin names for parts of the body they are never going to discuss with any of their clients. These anatomy and physiology classes are huge money earners for the schools because it is easy and cheap to get anatomy and physiology teachers and yet the school can increase the costs of tuition that students pay by several thousand dollars. In my and many other massage practitioners experience, you never use the Latin terms that you are forced to learn to pass your exam and because you never use them you forget them anyway. This is just one example of how many present day massage schools and large associations are trying to go the way of Western medicine and promote the Doctor- patient relationship, similar to the old status of priests in the Catholic Church, who use Latin as a way of being above their patient. This is termed the ivory tower syndrome in natural therapies because the practitioner does not “connect” with the patient. Whereas traditionally, natural medicine held the “partnership” model of health care as its role model where we work with our patient to help them. This involves communicating in a language that your client understands rather than Latin, which is an elitist language that very few people understand. People come in to a massage practice and say that they have a sore back, are stressed out or get headaches and they want you to help them get better. They don’t want a sermon in Latin about their sartorius gracialias being medially translocated. This technical jargon just serves to disempower the patient from involvement in the healing process. Instead a natural therapies model of practitioner client relationship that we advocate is to express in simple English (or the language spoken by the patient preferably) observations such as you are very tight here and this connects to this so lets loosen this up and this will help this etc.. and this tension in the muscle here in your neck is probably causing your headache. Proponents of massage laws say that massage laws help protect the public from injury by untrained therapists. Most evidence has shown that massage is one of the safest of all healing arts and that injuries resulting from massage are almost unheard of. For this reason states like Georgia and provinces like Quebec in Canada have refused to regulate massage therapy because they have seen no need to restrict an activity that has caused no real harm to the community. Massage is actually an art form that has been practiced since the origins of humanity in many different cultures of the world. Never before has a government tried to regulate it. Traditionally what makes a good massage therapist is getting a good sense of touch that can feel subtleties within the human body. For example shiatsu, a Japanese form of Massage was traditionally done by blind people because they had the best sense of touch and were used to “tuning in” to their intuition in order to feel the subtle imbalances in the flow of the life force (chi) within the human body that would then manifest as an imbalance physically. Regulations such as 500 hours of training and sitting for a very theoretical exam will not guarantee a person a good sense of touch or intuition In fact regulating an art form such as massage in this way is like regulating music or painting to a certain number of hours of training whereby some people are naturally gifted artists but would not know music theory or paining theory to pass a test and forcing them to undergo such standardization would stifle artistic creativity and ingenuity. This is what the real effect of these state massage laws is. It stifles ingenuity, creativity and business competition. 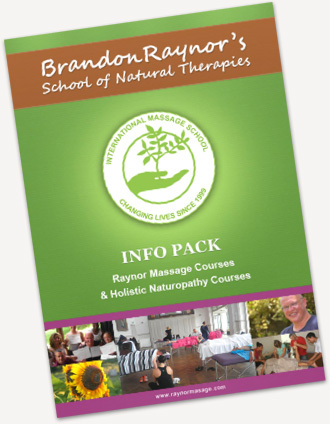 Why should someone have to sit through 500 or 1000 boring hours of training, most of which they will never use, when they could learn more from a school that provides better quality training in a shorter period of time by emphasizing the really important aspects of becoming an outstanding massage therapist, such as what our school does. We believe that the free market should operate in the massage industry as well as the massage training industry. For example it should be the consumer who decides which massage practitioner they feel more comfortable going to, not the State. In the end a practitioner who doesn’t keep his clients happy won’t survive in business especially in a small town, where a good massage business is built on referrals and repeat clients. This is true even in a city. This is because it usually costs a lot of money in advertising or renting a high profile premises in order to get new clients in. If you don’t convert new clients into happy regular clients then your costs will soon exceed your income and you will go out of business. Having said all of that, our main opposition to massage laws is about the required number of hours that we believe is schools attempt to monopolize the industry but we do support measures to protect clients from sleazy practitioners by having standard codes of professional conduct that practitioners must follow so as not to misuse their position to sexually exploit their clients, etc. This would easily be achieved by having laws about what are professional boundaries in a massage treatment such as not massaging really near the groin or breasts etc in a standard treatment and then prosecuting practitioners who are clearly proven to repeatedly cross those boundaries to be prosecuted and stopped from practicing in the future. Professional codes of conduct do not need a lot of hours of training to be taught them. They either understand the simple premise “Don’t be sleazy” and are sensitive to not making a patient uncomfortable or they are not. In my experience of teaching thousands of students( and failing several sleazy ones, including two doctors and a chiropractor) most people who are sleazy will remain sleazy no matter how many hours of training they have. In fact as I just mentioned the a huge percent of the sleaziest students I have had in my classes have already undergone thousands of hours of professional health care training and are still sleazy. See this website for more information about massage laws. Some laws are more restrictive than others. For example in British Columbia and Ontario, Canada, the laws require 2200 and 3000 hours of training to use the term massage therapist, but people can still practice without having a license as long as they don’t use one of the terms. In other states such as Hawaii in the US people cannot practice massage for profit at all without a state license.